Harnas Wildlife Foundation is an organization located in Namibia, approximately 300 km east of the capital Windhoek. 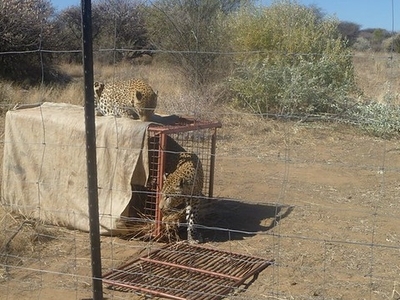 Harnas is one of the few wildlife orphanages and medical centers in the World to take in abused, injured, and captured wild animals from Namibia, Botswana, and southern African nations, saving hundreds of animals per year. Its mission is to protect life; done through the responsible and effective management, regulation and understanding of the resources necessary for this task.There are many types of animals that take refuge at Harnas and a population of feral animals on site. Here's the our members favorite photos of "Wildlife Reserves in Omaheke Region". Upload your photo of Harnas Wildlife Foundation!